We thought it would be a good time to give our friends/family a summary of the first 6 weeks on the Loop. It was really nice to get to know our home state of Michigan much better. We had not spent much time on the west coast of Michigan, and we were both very impressed with the boating towns on the west side of the state. 1. Algonac – After leaving all the excitement of the Miller Marina Farewell Party, we went a whopping 20 miles north to the Algonac Harbor Club & continued the farewell party with our boater friends Dave Vrabel, Carol Perotta, Rich & Anita Cook, and my last FCA boss Dave Herzog & bride Shelly. 9. Beaver Island – Crystal Clear Water, Beautiful Island w/ lots of morman history, Incredible day long tour by Doug Edgar & Sharolyn, in a police car ! 10. Harbor Springs – LARGE Boats, Beautiful flower lined homes, waterfalls in front yards, great downtown, new friends Oat & Rose Whitney. 11. Bay Harbor (+ Charlevoix & Boyne by car) – Road Trip with Shannon & Scott, Agar visit #3, Wrenched Back, disappointed that we did not boat to Charlevoix ! 12. Leland – Wonderful Fish Town, Rick’s Café with Chubby Mary, new friends Bill/Deborah from Gross Pointe & Loopers Tim/Alice from Boston. 13. Frankfort (+Manistee by car) – Ashley/Dave visit, the OMNI road trip, Beach Day, Rainbows, Dinghy ride to lunch. 14. 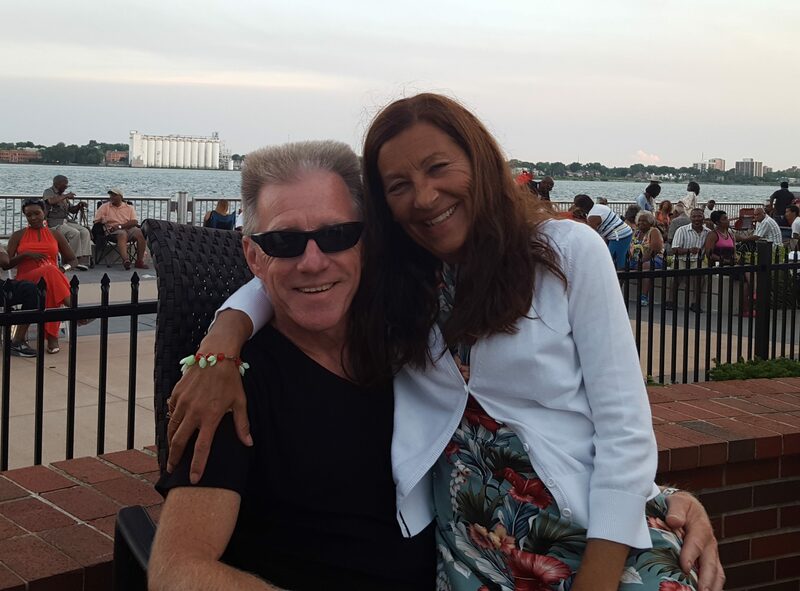 Ludington – Most Beautiful Harbor, Park Sculptures, Badger Ferry, Beer Fest, Flower Lined streets, gettin to know Tag Team even better (Tom/Sue Ann from Texas). 15. Grand Haven – Musical Fountain, Waterfront Music Concerts, Best Beach, Trolley Cars, Freightor on Grand river during dinner, Best Bike Trials & Boardwalk, Coast Guard City. 16. South Haven – Harbor Village, Idler Restaurant Boat, Best Waterfront Bar (Captain Lou’s), Best Theatre Value, Best Nightlife Entertainment, new friends Ken/Chris Smyth. 17. St Joseph – Best under rated town, Best Restaurant RyeBelle’s, nice downtown street art. Looks like a fabulous adventure so far. Can’t wait for the next update.